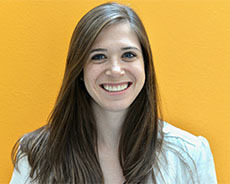 Rebecca Schneider is a doctoral intern in clinical psychology who is completing her doctoral internship at Lucile Packard Children’s Hospital at Stanford/Children’s Health Council. She attended the University of North Carolina Chapel Hill for her undergraduate degree in psychology and she will receive her PhD in clinical psychology from the University of Colorado Boulder in Summer 2019. Rebecca specializes in treating anxiety disorders, OCD and other internalizing disorders. She also has testing and assessment experience. In her free time, Rebecca loves being outdoors and watching Tar Heel basketball! Schneider, R.L. & Arch, J. J. (2018, November). Values-enhanced exposure therapy for the treatment of social anxiety in emerging adulthood. Paper to be presented at the 52nd Annual Convention of the Association for Behavioral and Cognitive Therapies. Washington, D.C.
Schneider, R. L. (2018, August). Case study: A novel application of mindfulness-and acceptance-based components to treat misophonia. Invited presentation to be presented at the 1st International Misophonia Research Symposium. San Francisco, CA. Schneider, R. L. & LeBeau, R. (2017, November). “Evaluating prominent theories concerning the role of stress in anxiety and depression trajectories.” Symposium chair at the 51st Annual Convention of the Association for Behavioral and Cognitive Therapies. San Diego, CA. Schneider, R. L., Arch, J. J., & Hankin, B. L. (2017, November). The relationship between stressful life events and anxiety symptoms: Longitudinal support for stress causation but not stress generation. Paper presented at the 51st Annual Convention of the Association for Behavioral and Cognitive Therapies. San Diego, CA. Ferris, M., Schneider, R. L., Koban, L., Arch, J. J. (2017, April). Negative self-portrayal subscales predict corresponding categories of speech task self-feedback. Poster presented at the 97th Annual Meeting of the Western Psychological Association. Sacramento, CA. Schneider, R. L. (2016, June). “Processes of change.” Symposium chair at the 14th Annual World Conference of the Association for Contextual Behavioral Science. Seattle, WA. Schneider, R. L., Arch, J. J., & Hankin, B. L. (2016, October). Bi-directional relationship of life stress and anxiety. Selected student presentation at the Mindfulness and Acceptance Special Interest Group meeting at the 50th Annual Convention of the Association for Behavioral and Cognitive Therapies. New York, NY. Schneider, R. L., Arch, J. J., & Hankin, B. L. (2016, October). Bi-directional relationship of life stress and anxiety. Poster presented at the 50th Annual Convention of the Association for Behavioral and Cognitive Therapies. New York, NY. Schneider, R.L. (2016, September). Values-enhanced exposure therapy for the treatment of social anxiety in adolescents. Clinical psychology departmental research day presentation at the University of Colorado Boulder. Schneider, R. L., Landy, L. N., Arch, J. J., & Hankin, B. L. (2016, June). The longitudinal effect of ACT-targeted emotion regulation strategies on anxiety levels in youth. Paper presented at the 14th Annual World Conference of the Association for Contextual Behavioral Science. Seattle, WA. Schneider, R. L., Arch, J. J., & Wolitzky-Taylor, K. B. (2015, November). The state of personalized treatment for anxiety disorders: A review of treatment moderators. Paper presented at the 49th Annual Convention of the Association for Behavioral and Cognitive Therapies. Chicago, IL. Schneider, R. L., Arch, J. J., & Hankin, B. L. (2015, November). The longitudinal effect of emotion regulation strategies on anxiety levels in children and adolescents. Poster presented at the 49th Annual Convention of the Association for Behavioral and Cognitive Therapies. Chicago, IL. Landy, L. L., Ashar, Y. K., Schneider, R. L., Koban, L., & Arch, J. J. (2015, November). Brief self-compassion intervention aids recovery from performance task in adults with SAD. Poster presented at the 49th Annual Convention of the Association for Behavioral and Cognitive Therapies. Chicago, IL. Schneider, R.L., Leopold, D.R., & Chhabildas, N.A. (2015, October). Anxiety and depression. Unpacking a diagnosis: The brain and mind behind learning, attentional, and emotional functioning. Presentation at the 25th Reading in the Rockies conference of the Rocky Mountain Branch of the International Dyslexia Association, Beaver Creek, CO.
Schneider, R.L. (2015, April). The effect of emotion regulation strategies on the development of anxiety. Clinical psychology departmental presentation at the University of Colorado Boulder. Schneider, R. L., Arch, J.J., & Wolitzky-Taylor, K.B. (2014, November). The state of personalized treatment for anxiety disorders: A systematic review of treatment moderators. Poster presented at the 48th Annual Convention of the Association for Behavioral and Cognitive Therapies. Philadelphia, PA.
Arch, J. J., Landy, L, N., Schneider, R.L., Koban, L., & Andrews-Hanna, J. R. (in press). Self-compassion induction enhances recovery from social stressors: Comparing adults with social anxiety disorder and healthy controls. Anxiety, Stress, & Coping. Schneider, R. L. & Arch, J. J. (2017). Case study: A novel application of mindfulness- and acceptance-based principles to treat misophonia. Journal of Contextual Behavioral Science, 6(2), 221-225. Koban, L., Schneider, R. L., Ashar, Y. K., Andrews-Hanna, J. R., Landy, L., Moscovitch, D. A., Wager, T. D., & Arch, J. J. (2017). Social anxiety is characterized by biased learning about performance and the self. Emotion. Dimidjian, S., Arch, J. J., Schneider, R. L., Desormeau, P., Felder, J. N., & Segal, Z. V. (2016). Considering meta-analysis, meaning, and metaphor: A systematic review and critical examination of “third wave” cognitive and behavioral therapies. Behavior Therapy, 47(6), 886-905. Schneider, R. L., Arch, J. J., Landy, L. N., & Hankin, B. L. (2016). The longitudinal effect of emotion regulation strategies on anxiety levels in children and adolescents. Journal of Clinical Child & Adolescent Psychology, 1-14. Schneider, R. L. & Arch, J. J. (2015). Letter to the editor: Potential treatment targets for misophonia. General Hospital Psychiatry, 37(4), 370-371. Schneider, R. L., Arch, J.J., & Wolitzky-Taylor, K.B. (2015). The state of personalized treatment for anxiety disorders: A systematic review of treatment moderators. Clinical Psychology Review, 38, 39-54. Landy, L., Schneider, R. L., & Arch, J. J. (2015). Acceptance and commitment therapy for the treatment of anxiety disorders: A concise review. Current Opinion in Psychology, 2, 70-74. Aponte-Rivera, V., Dunlop, B. W., Ramirez, C., Kelley, M. E., Schneider, R., Blastos, B., Larson, J., Mercado, F., Mayberg, H. and Craighead, W. E. (2014), Enhancing Hispanic participation in mental health clinical research: Development of a Spanish-speaking depression research site. Depression and Anxiety, 31(3), 258-267.